Eva Floyd, PhD, is an associate professor of choral music education at CCM where she teaches Choral Methods, Literature for School Choir, History and Philosophy of Music Education, and Kodály Musicianship classes for music education graduate students. She supervises student teachers, choral internships, advises graduate research and is an academic advisor for undergraduate vocal/piano music education majors. Floyd created a new study abroad program for CCM music education students, traveling to Europe to study music education and perform choral music in Budapest, Vienna, Salzburg and Paris. Floyd is a specialist in the Kodály approach of choral music education, which is based on the internationally acclaimed Hungarian system of teaching music literacy and ear-training. She studied two years at the Liszt Academy’s Kodály Pedagogical Institute of Music in Kecskemét, Hungary earning an advanced diploma in Choral Conducting, studying with Peter Erdei. Floyd also worked as a graduate teaching assistant at the Kodaly Institute, tutoring international students in solfege and assisting graduate students with thesis projects. Floyd received a Ph.D. in Music Education and Master of Music in Music Education with choral conducting emphasis from the University of Kentucky and a Bachelor of Music in Music Education degree from Campbellsville University. She completed Orff-Schulwerk certification at the University of Kentucky and Kodály training from Capital University, where she also completed the Kodály apprentice teacher-training program and teaches in the summer Masters program. Floyd taught previously at Western Kentucky University and was the choral director at Bullitt Central High School. She is active as a choral adjudicator, guest conductor and clinician. Floyd served as a conducting coach for the Chorus America National Master Class for Conductors of Children and Youth Choruses. She served on the Music Advisory Committee for the Cincinnati World Choir Games and she is the Midwestern Regional Representative to the Organization of American Kodály Educators National Board. Floyd’s research has been published in the Journal of Music Teacher Education, Update: Applications of Research in Music Education, Visions of Research in Music Education and the Bulletin of the Internal Kodály Society. She also has articles in The Choral Journal, American Music Teacher and Kodály Envoy. 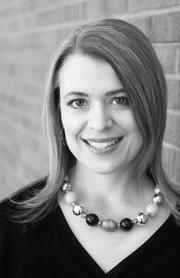 She has presented at the National Association for Music Educators national conference, various state music education conferences, American Choral Directors regional conference, Society for Music Teacher Education national conferences and International Symposia in Scotland, Hungary, Poland, Australia and Greece.